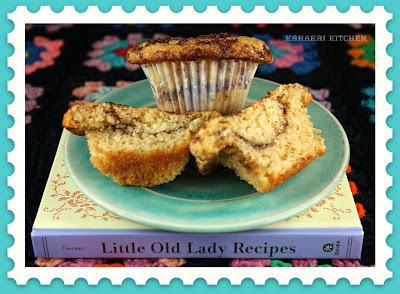 Kahakai Kitchen: Coffee Cake (Muffins) with Cinnamon-Sugar Sprinkles & a Cookbook Review of "Little Old Lady Recipes"
Coffee Cake (Muffins) with Cinnamon-Sugar Sprinkles & a Cookbook Review of "Little Old Lady Recipes"
As a lover of vintage cookbooks and family recipes handed down from generations of grandmothers, aunties, and great grandmothers (aka "little old ladies"), I was immediately charmed by the cookbook Little Old Lady Recipes: Comfort Food and Kitchen Table Wisdom by Meg Favreau. Author Meg Favreau is an Los Angles-based writer, comedian, food enthusiast and one-time eating-contest winner, who has gathered up a collection of easy recipes that will take you back to your childhood. Dishes like Brown Betty, Matzoth Balls, Borscht, Fudge, Greatest Green Bean Casserole, Chicken Pot Pie, Jellyroll, Hot Toddys and more, are accompanied by Michael E. Reali's pictures of some of the most adorable little old ladies around. There are no fancy recipes in this book, but as Mary, housewife, 72, says, "Cheap food will taste expensive if you know what to do with it." I should have done this review before Christmas, as this little book would have been a great stocking stuffer, but it is still a fun hostess or shower gift or an addition to your own cookbook collection. 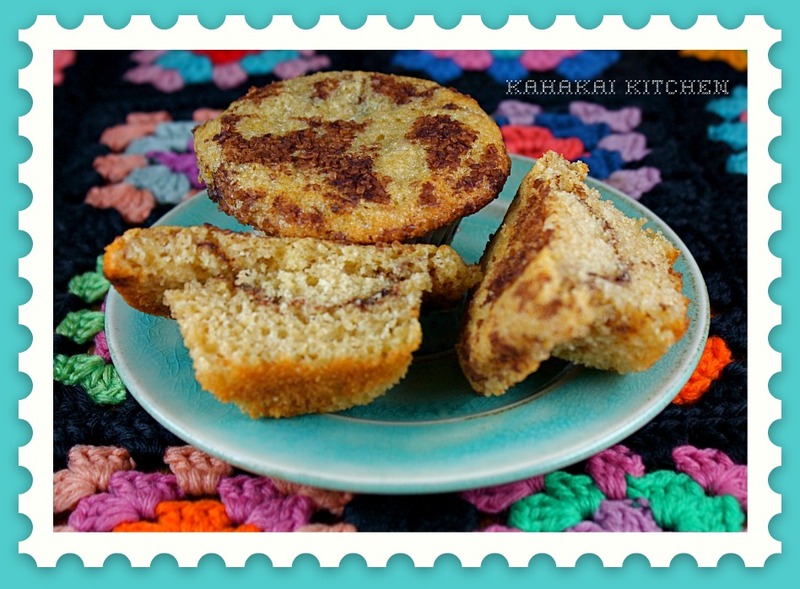 I had a hankering for Coffee Cake but no upcoming coffee "klatch" to serve it at, so I decided to repurpose the recipe into muffins. Muffins are easy to give away and/or freeze extras for portion control, plus in my opinion, they are just more fun. I kept the recipe close to the original but subbed in non-fat Greek yogurt for the sour cream, used white wheat flour for some additional fiber, and left out the nuts. For the Cinnamon- Sugar Sprinkles, I used some coarse Maui cane sugar which added a pleasant crunch. To get into the little old ladies-spirit, I thought it would be fun to pull out a crocheted blanket my grandmother (my dad's mom), made for the photos. This was my favorite "sick day" quilt when I was a child and I loved laying under it and watching the television in my parents room when I wasn't feeling well. Although Grace, gas station owner, 77, might think that "Crocheted blankets are uglier than knitted ones," the bright colors in this blanket make me smile. 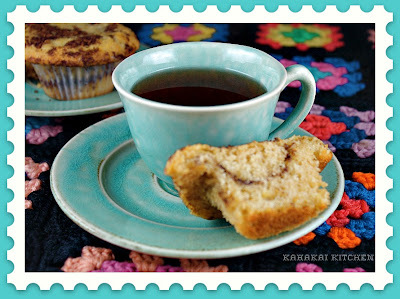 LOL Recipes says, "The perfect side dish for gossip, coffee cake should always be served when the ladies come over for a midmorning coffee klatch." Stir together flour, baking soda, baking powder, and salt. Mix up the butter and sugar and then crack in the eggs. Mix. Stir in the vanilla and sour cream and then the flour mixture. Spread half the batter in your cake pan, sprinkle with a layer of the cinnamon sugar and nuts, add the rest of the batter and top with more cinnamon sugar. Bake 50 minutes to 1 hour in a 350 degree F oven. Put on the kettle. About the cinnamon-sugar: "Sugar and spice and everything nice: Keep a jar of cinnamon sugar in your cupboard, and you'll always have a sweet homemade topping for buttered toast, coffee cake, or other treats." Stir sugar and cinnamon until the color is mixed to a light brown. Notes/Results: Great cinnamon flavor and moist texture, this recipe makes a tasty muffin. I put a layer of the batter in the lined cupcake tin, topped it with the cinnamon-sugar mixture, then another layer of batter and more cinnamon-sugar sprinkles on top and baked them for about 23 minutes. I ended up leaving out the nuts--I prefer my coffee cake without them. My one mistake, that I knew I was doing as I was doing it, was to overfill the cupcake liners. I had already put the extra liners away and was too lazy to get out another pan and more liners, so I kind of heaped the batter in some of the muffins. It ended up spreading out which did not effect the flavor at all but some of the muffins were not as pretty. Oh well, the extra large muffin tops were actually my favorite part of the muffin. ("Top of the Muffin to You!" Sorry--all that muffin top talk just conjured up a favorite Seinfeld episode. 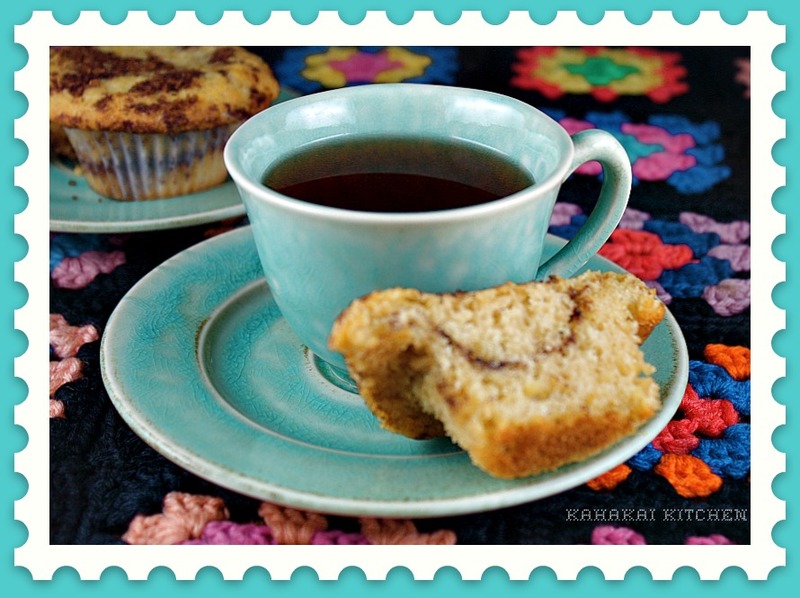 ;-) But I digress...) These muffins are cute with the little swirl in the middle and delightful paired with either coffee or a nice cuppa tea, for breakfast or a quick snack. Disclosure Statement: A review copy of this book was provided to me by the publisher but as always, my thoughts, opinions and experiences cooking from the book are entirely my own. 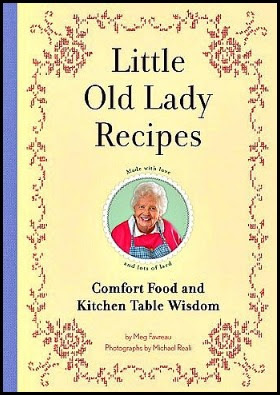 Is there a favorite "Little Old Lady Recipe" in your family? BTW: The giveaway for a copy of A Discovery of Witches has ended but I am in the midst of a big work "thing" and haven't had a chance to do the drawing. I'll be back in a day or two with the announcement of the winner. 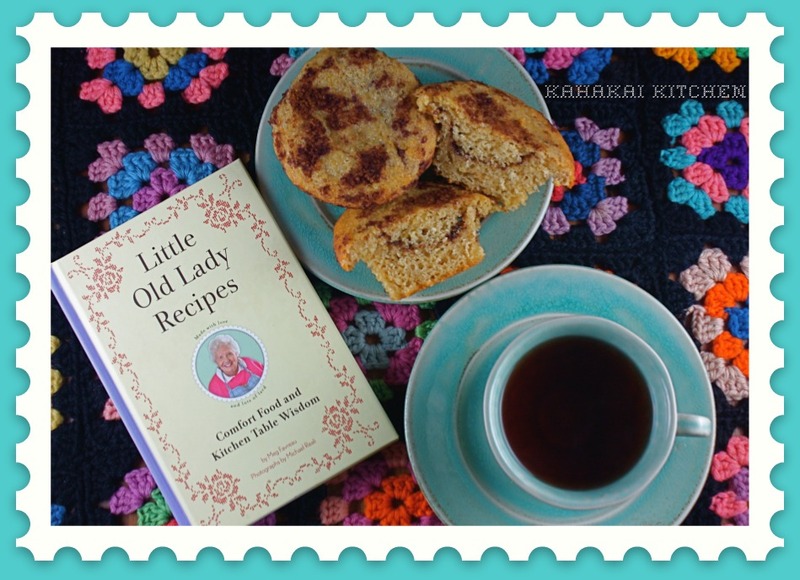 coffee cake looks delicious and I love the little LOLs you got from the book too! That book sounds great! And I like the look of the muffins! Thanks for sharing your special sick day blanket. And I love the sound of Cinnamon-Sugar Sprinkles. Little old ladies are the best. Especially when they are sassy like these seem to be. I love the idea of making muffins and have pinned this recipe. I have to look for the book on Amazon; sounds like a hoot. This sounds like a great book. Reminds me a little of "The Secret to Tender Pie" --- I wonder where that little book is now? You have prompted me to go search through my book shelf. 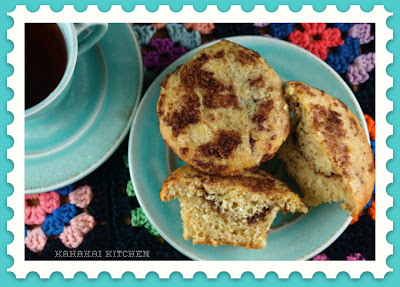 I'll take coffee cake in any form, muffin included. These look delicious. I'm sure you don't have to worry about this whole winter thing ;), but these would be perfect with a hot cup of coffee on our cold mornings right now. Love the idea of this book, and totally charmed by your muffins. I hardly ever bake cake just because I would end up with a whole cake to eat, but turning it into muffins that can be frozen is such a great idea. I can see cake-muffins coming on this afternoon! !